Aluminum is a metal used in small quantities in childhood and adult vaccines, usually in the form of Aluminium phosphate or Aluminium hydroxide. Aluminum's role in vaccination is to be an adjuvant - a substance that stimulates the immune system to react. Despite Aluminum being one of the most abundant metals on earth, Aluminum is by no means 'safe'. "Excitotoxicity may be involved in spinal cord injury, stroke, traumatic brain injury, hearing loss (through noise overexposure or ototoxicity) and in neurodegenerative diseases of the central nervous system (CNS) such asmultiple sclerosis, Alzheimer's disease, amyotrophic lateral sclerosis (ALS), Parkinson's disease, alcoholismor alcohol withdrawal and Huntington's disease." Musculoskeletal disorders - Muscle pain and weakness, macrophagic myofasciitis (pain and inflammation of muscles). Bone pain and weakness, premature osteoporosis (thinning of bone tissue and loss of bone density), arthritis, fractures (particularly of the ribs and pelvis), bone deformity - due to the increased rate of growth and remodeling usually involving the epiphyseal plates (ie, femur, wrist), thoracic (rib) cage abnormalities, lumbar scoliosis (curving of the spine sideways), kyphosis (curving of the spine leading to a hunchback), rickets (softening of bone leading to bone deformities), craniosynostosis (premature ossification of the skull and obliteration of the sutures in infants). Gastrointestinal disorders - Nausea, flatulence, heartburn, stomach and intestinal ulcers, intestinal colic, gastrointestinal disease. *Synflorix will be available when existing stocks of Prevenar are used up. Aluminum is a pro-oxidant (induces oxidative stress) which inturn induces an inflammation response. Aluminum induces an inflammation response known as NALP3 inflammasome (associated with autoimmune disease). Motor deficits expressed as a progressive decrease in strength (50%). Significant cognitive deficits in water-maze learning (4.3 vs 0.2 errors per trial). Significant motor neuron loss in the lumbar spinal cord (35%). Significantly increased numbers of astrocytes (cells that are expressed when the nervous system is injured and needs repair) in the lumbar spinal cord (350%). Significantly increased activated caspase-3 (protein that promotes programmed cell death) labeling in lumbar spinal cord (255%) and primary motor cortex (192%). (iii) a significant correlation exists between the amounts of Al administered to preschool children and the current prevalence of ASD in seven Western countries, particularly at 3–4 months of age (Pearson r = 0.89–0.94, p = 0.0018–0.0248). 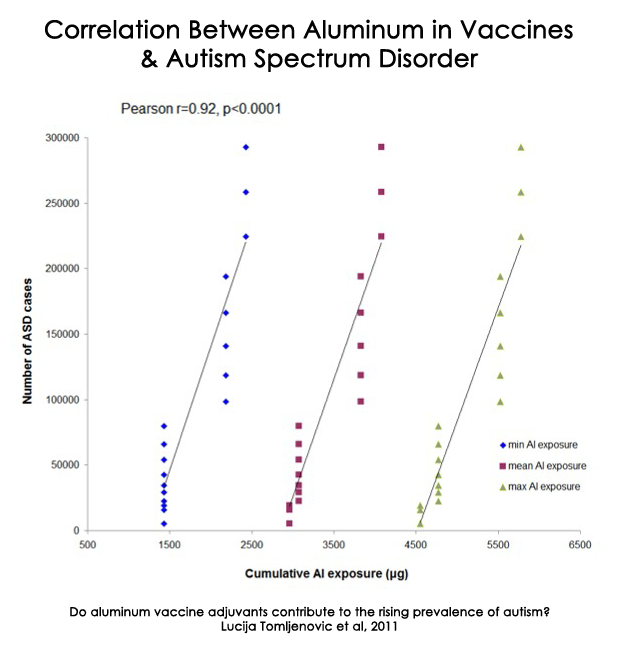 Ingested Aluminum is not a valid comparison to injected Aluminum.
. Mechanisms of aluminum adjuvant toxicity and autoimmunity in pediatric populations.
. Aluminum Vaccine Adjuvants: Are they Safe?
. Chronic epileptic foci in monkeys: correlation between seizure frequency and proportion of pacemaker epileptic neurons. Wyler AR, Burchiel KJ, Ward AA Jr. Epilepsia. 1978 Oct;19(5):475-83.
. Focal experimental epilepsy in rabbits. Bostantjopoulou S et al, Funct Neurol. 1990 Apr-Jun;5(2):127-33. 2nd University Department of Neurology, Ahepa Hospital, Thessaloniki, Greece.
. Behavioral and electrical correlates of absence seizures induced by thalamic stimulation in juvenile rhesus monkeys with frontal aluminum hydroxide implants: a pharmacologic evaluation.David J, Marathe SB, Patil SD, Grewal RS. J Pharmacol Methods. 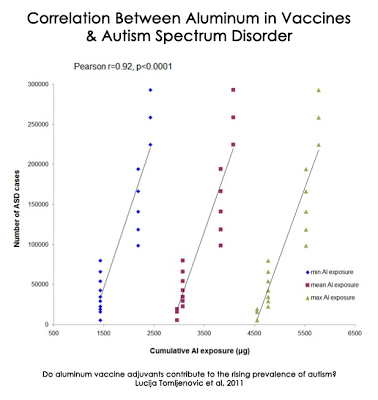 1982 May;7(3):219-29.
. Do aluminum vaccine adjuvants contribute to the rising prevalence of autism?
. P. Charney, The American Society for Parenteral and Enteral Nutrition (ASPEN) Aluminum Task Force, "A.S.P.E.N. Statement on Aluminum in Parenteral Nutrition Solutions," Nutrition in Clinical Practice 19 (August 2004): 416-417.
. Long-term persistence of vaccine-derived aluminum hydroxide is associated with chronic cognitive dysfunction. Couette M, et al, INSERM, Unite U955, Team 1, Creteil F-94010, France. J Inorg Biochem. 2009 Nov;103(11):1571-8. doi: 10.1016/j.jinorgbio.2009.08.005. Epub 2009 Aug 20. .Macrophagic myofasciitis lesions assess long-term persistence of vaccine-derived aluminium hydroxide in muscle. R. K. Gherardi et al, Brain (2001) 124 (9): 1821-1831.
. Administration of aluminium to neonatal mice in vaccine-relevant amounts is associated with adverse long term neurological outcomes. Shaw CA, et al. J Inorg Biochem. 2013 Jul 19. pii: S0162-0134(13)00177-3.
. Aluminum in the central nervous system (CNS):toxicity in humans and animals, vaccine adjuvants, and autoimmunity. Sorry if I've missed the reference, but "For an infant of this size, the daily allowable limit of injectable aluminum is 22.5mcg" - where does this daily allowable limit come from? 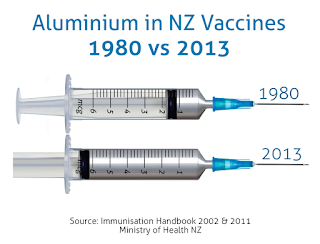 I'm guessing the NZ govt has a very different (I'm not saying correct) idea of the daily allowable limit, given the amount of aluminium in the vaccines they push. Lol, I just re-read it and I've seen it now... duh :) I'd still be interested to know if the NZ govt has set any acceptable daily limits. I have arrived at the inevitable conclusion that vaccination is an organised criminal enterprise dressed up as disease prevention by means of junk science. Check out the 'Vaccination Information Network (VINE) on Facebook. This whole sheet is so inaccurate - please educate yourself about aluminium. The allowable limit is incorrect and unreferenced and in fact the amount injected in one sitting is a made up number too. If you like made up facts here they are. Anonymous, no the allowable limit is correct and referenced, as is the amount injected. The 13th element has some fairly special properties and is also the most common metal on earth. Technically it’s not a transition metal (like iron or nickel for example) and it’s not really a heavy metal either. Because of where aluminium sits on the periodic table it will lose three electrons to form the ion Al3+ (it becomes positively charged because it has lost three negative charges). This means it can form ionic compounds with negatively charged ions. Hydroxide is a common ion and this will form the ionic compound aluminium hydroxide (Al(OH)3). All ionic compounds are electrically neutral and in this case not highly reactive. The aluminium dissociates fairly easily, meaning in a solution there’s a bunch of Al3+ and OH- ions floating around. Because aluminium is so common, humans have been exposed to it since the dawn of human ages. We’re really well adapted to handling aluminium. In fact, humans usually have between 50 – 150mg of aluminium in their bodies at any one time. Aluminium is present in many foods right from birth, in breast milk through to your favourite cookies in the pantry. We’re always exposed to it, but you can limit your exposure. For example drinking tea, as tea contains large amounts of aluminium. We can’t find an actual use for aluminium in our bodies, but recent studies have noticed changed in the amounts of aluminium present at certain times during pregnancy and soon after birth. The reason is still unknown. Because aluminium is so common in our soils (it makes up almost every type of mineral soil known, at least some portion of it anyway) and plants passively take it up, we can’t avoid it in what we eat. Certainly some things contain more than others, such as baking powder goods and even some baking sodas may contain aluminium. Of course cookware, some can be aluminium. Cans, are generally aluminium too. Avoiding aluminium could be difficult. Everyday you’ll consume around 5 – 15mg of aluminium. There are too many studies to list here, but they studied aluminium and use these numbers so we’ve used the extreme to extreme. From this, only a tiny fraction is actually absorbed, the rest is excreted. The fraction absorbed can also range from 3% to 0.2%, so again, we’ve just used extreme to extreme. When aluminium is absorbed it can enter the blood stream and eventually is filtered by the kidneys. Most of the aluminium absorbed is excreted within 24 hours. This ranges from around 50% to 75% in the first 24 hours. Most is excreted within a couple of weeks. You may store some of the aluminium in your bones, some organs and even your brain. But it’s not much to worry about, unless you have kidney problems. Remember most people have between 50 – 150mg of aluminium in their bodies at any one time. Because we’re well set up to excrete aluminium, why don’t we use it? Well, simply it fights for spaces where iron would usually be. However, aluminium probably wins the fight on specific sites, there’s just not the numbers to do any damage. That’s why toxicity doesn’t occur until around 9g of aluminium hydroxide per kg of body weight. An average 65kg person would require about half a kilogram of aluminium hydroxide. So, toxicity is extremely low. This proves how well we maintain the removal of aluminium. If we take our example and use the upper limit of 15mg of aluminium per day (could be in many ionic forms, but most have similar uptakes and absorbencies). If we suggest the higher end of 3% is absorbed we’d see 450µg (micrograms). Each microgram is 1,000th of a mg. Each 1,000mg is 1g. Of that 450µg anywhere up to 75% is excreted within the first 24 hours. That leaves 112µg (0.112mg) of aluminium that could either be deposited in tissues or excreted (anywhere from 2 weeks to 4 years). As you can imagine, this is the upper limit and it’s daily. Around 4% of that absorbed aluminium remains for around 3 years (that’s around 4µg). At that rate it would take you well over 100 years to absorb enough aluminium to reach that 150mg of aluminium in your body. So, is eating it as bad as all that? Because aluminium isn’t as cumulative as some of the other metals, we can withstand a lot more of it than perhaps some of the more extreme heavy metals such as lead. However, those with renal diseases may be more susceptible to aluminium toxicity than others. It is used as an adjuvant (a substance that can carry an antigen and invoke an immune response) in the vaccine. 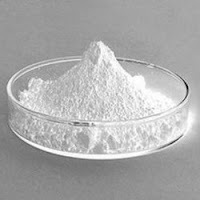 Usually aluminium hydroxide is used as an adjuvant, but other salts of aluminium are also used. There’s no such thing as injecting aluminium directly as an ion or in its elemental form. And we certainly don’t eat aluminium in its elemental form either. Eating aluminium salts does not invoke an immune response. And, nor does injecting aluminium salts. It’s not unless the adjuvant contains an antigen that an immune response is noted. Many studies are currently still working on why there’s an immune response with antigens bound to aluminium, and at present it appears that aluminium excited a primary response from uric acid. This is what invokes the immune reaction desired for a vaccine. The aluminium is not a primary immune-stimulatory molecule. For example, you could take an oral antacid containing aluminium salts (sometimes incorrectly referred to as alum) and there would be no immune response from either the innate or specific immune systems. Instead non-specific immunity will act as the method to protect us from incoming antigens through an oral route. As aluminium is too small to be picked up by these immune responses, it is able to pass through, usually undetected. However, when antigens are bound to the aluminium there is now the chance for many local immune reactions to occur. Orally, this would still be non-specific. When injected intramuscular the other more specific immune responses will begin to occur. It is hoped that the responses are good enough for memory B and T cells to be produced in order for a vaccine to be effective. The idea is that aluminium provides the catalyst for this to occur. As for excretion, the same thing occurs as with the food. Except absorption rate is usually much higher, as there is no digestive tract with an intramuscular injection. At this point the kidneys need to do all the work and around 50 – 70% of the aluminium is excreted in the first 24 hours. The remainder, just like the oral route, is either taken to specific bone sites, tissues or brain. And again, the remainder is excreted around 96% within 3 years. After the first 24 hours, excretion remains high, and the remaining 20 – 30% is mostly excreted within 14 days. The rate at which excretion occurs slows considerably, but there is only a tiny amount remaining. In the United States it is quite possible to have 4.4mg of aluminium adjuvant injected over 6 months. The human immune system has been discussed previously. So, the remaining aluminium is around 4% after the initial 2 weeks of excretion. This is around 17µg of aluminium that could last in the system from vaccinations for up to 3 years. This is about 4 times higher than the daily average intake from food in adults, but remember, the 17µg of aluminium is from the first 6 months of vaccinations that do not occur every day. 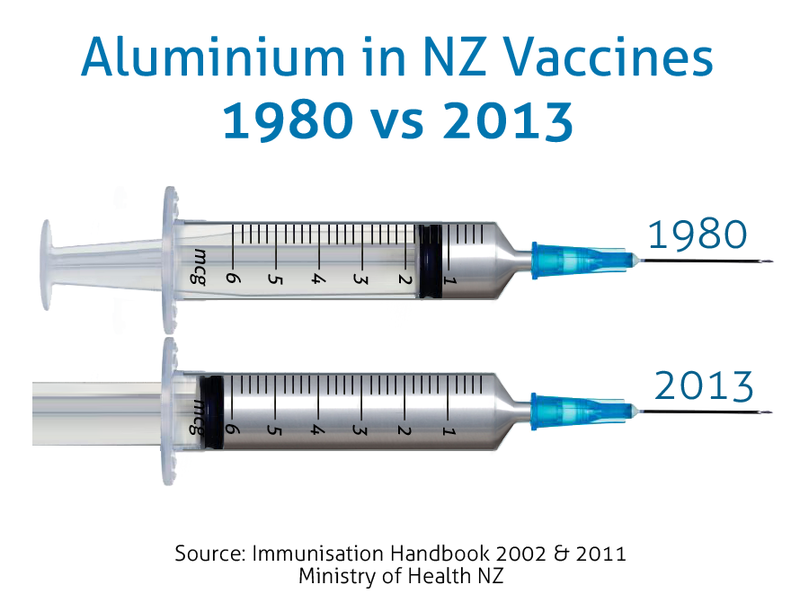 The load of aluminium from vaccinations is small. But it does come with some risk, especially for those who have renal damage or disease. Without first testing for renal diseases it may be difficult to assess whether someone should avoid aluminium vaccinations or not. Because the most common deposit site for aluminium is in the bone tissue, if aluminium was such a problem, we’d see bone diseases and related toxicity. And why not ask Cherie how much aluminium is required to actually cause any of the toxicity symptoms she's lied about? Simple really - a lot more than is in the vaccines, in fact considerably more! But Cherie, you wouldn't let the truth get in the way of such a good story now would you? Hmm thanks for the cut and paste I guess. You need to provide sources for statements if you really want to have a scientific discussion. I allow civil discussion here, saying that I'm a liar is unfounded and it's certainly not civil, so watch your step or you'll find yourself no longer allowed to comment. "A 2004 statement by the American Society for Parenteral and Enteral Nutrition (ASPEN), a group that monitors oral and injectable nutritional products for safety and side effects, states the daily limit of aluminum is 5 mcg per kilogram of body weight." - P. Charney, The American Society for Parenteral and Enteral Nutrition (ASPEN) Aluminum Task Force, "A.S.P.E.N. Statement on Aluminum in Parenteral Nutrition Solutions," Nutrition in Clinical Practice 19 (August 2004): 416-417.